MJ Castles has the new greatest Bouncy Castle for hire for your little girl’s next birthday party! Perfect for toddlers, your little princess and her friends won’t ever forget how much fun they had with the hire of the newly available Princess Ball Pool! This amazing new ball pool is great for birthday parties, entertaining the toddlers at any type of reception, or you just want to give the kids something fun to do on a Saturday afternoon. No matter what the occasion, the Princess Ball Pool will make any event memorable and a million times more fun! Your daughter will have the opportunity to have her very own Ball Pool in the comfort of your lawn or living room! The entire neighborhood will be talking for years to come with how much fun your guests will have when you hire the Princess Ball Pool from MJ Castles. What Comes With the Princess Ball Pool? All you need to do is point out where you want the Princess Ball Pool to be placed for your daughter’s fabulous party! With MJ Castles, we take care of everything for you so that you only have to worry about what food to serve your children and their friends! MJ Castles takes care of the delivery, setup, take down, and pick up so you don’t have to think about it. Enjoy watching your Princess have the time of her life with her friends. None of the guests will want to leave with how much fun this bouncy castle will bring to your gathering! How Can You Hire the Princess Ball Pool?! 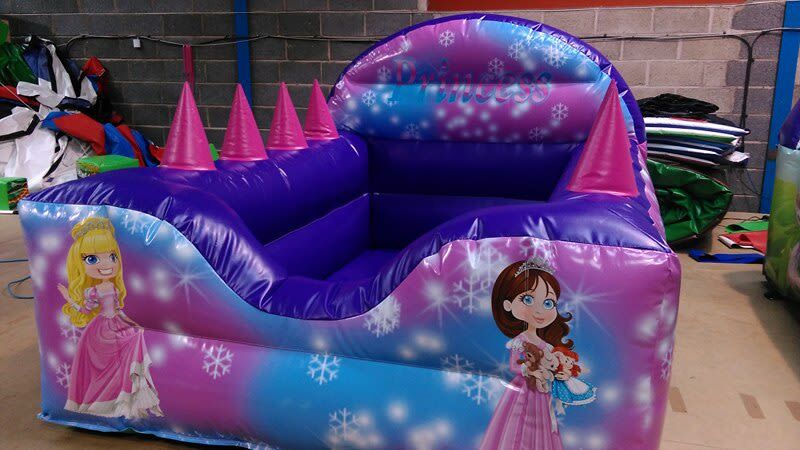 Contact MJ Castles to hire this magical Princess Ball Pool for your daughter’s next event!